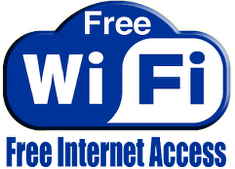 A free WIFI service is now available to guests at the park. Up to two devices per accommodation can be used, just collect your access voucher/s from reception on arrival. Please be aware that due to our idyllic location, broadband speeds may not be as fast as you are used to. Essentially the free service will allow you to send & receive emails, keep in touch via various social media and carry out web browsing to catch up on the news, weather forecasts or find out more about local attractions. Please do not expect to be able to play games or download a missed episode of Coronation Street! !